Feet are the body’s high-performance platform. In some industries, we are on our feet constantly either standing for long periods or walking on hard ground which can have a negative effect on the entire body and in turn reduces well-being, performance and safety. 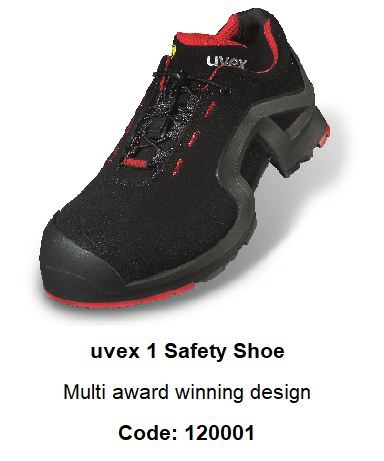 The ergonomic design of the uvex 1 range of footwear supports the natural movements of the body helping to reduce pressure on the musculoskeletal system. 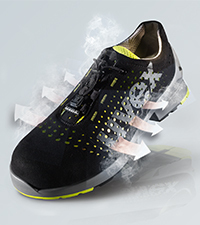 Every detail of the footwear has been thought about and constructed to prevent wearer fatigue, support lasting comfort and stability due to its dynamic shock absorbing sole, provide superb slip resistance, all in an innovative and ultra-lightweight design. Supports the natural movement of the foot while pivot point eases turning. Greater slip resistance SRC rated. Provides additional protection from ankle twisting, stabilises and guides the foot while. providing impact protection. The combination of intelligent materials together with innovative manufacturing methods means shoes maintain a comfortable foot temperature. 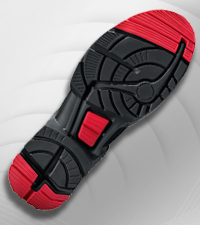 Toe cap and penetration-resistant midsole – lighter than steel and do not conduct the cold. Same great protection. Models range from sizes 3 to 17. Half sizes are available in 3.5, 6.5 and 10.5 ensuring everyone finds the right size. Sizes 3 – 7 are designed using a lady’s last ensuring footwear mimics the contours of the female foot for a better fit and greater comfort. 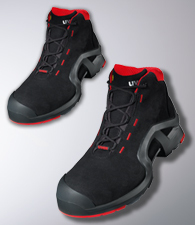 - Multi-functional, ultra-lightweight, versatile S3 safety boot and shoe. - Made from either synthetic materials, so suitable for people allergic to chrome of soft cowhide leather. 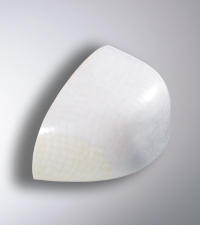 - Durable scuff cap helps protect upper and increase product life. 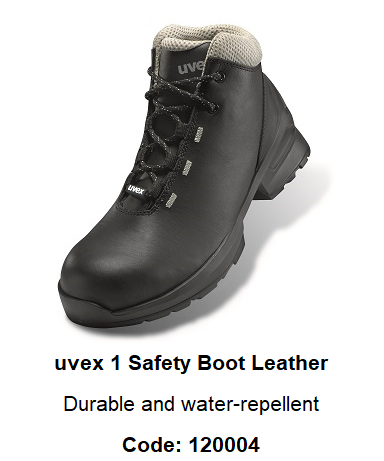 - All sole materials are free of silicones, plasticisers and other paint wetting impairment substances. - Colour: black, red or black grey. - Available in sizes: 3 – 17 (35 to 52). - Protection class S3 in accordance with EN ISO 20345:2011 with excellent slip resistance (SRC). - Meets the ESD specification with bleeder resistor under 35 megaohms. 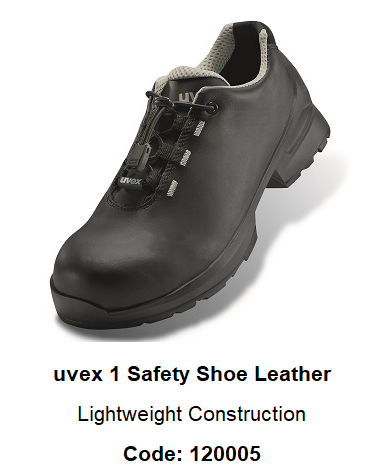 - 100% metal-free uvex xenova® toe cap – compact, anatomical shape, no thermal conductivity and with good side stability. - Ergonomically designed outsole made from dual density polyurethane with excellent slip resistance and shock absorption. - X-tended heel gives additional support for the foot with specially designed side frame; provides additional protection from ankle twisting, stabilises and guides the foot while providing impact protection and without limiting flexibility. 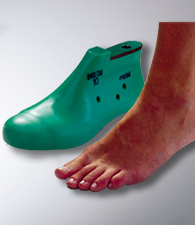 - Non-metallic, penetration-resistant midsole, covers 100% of the footbed without restricting flexibility. - uvex climazone technology together with breathable materials helps prevent heat build-up ensuring optimum wearer comfort. - Virtually seam-free construction from either high-tech microvelour material or soft cowhide leather to eliminate pressure points reducing the potential for blisters and sore spots. - Removable anti-static comfortable insole, with a moisture transport system and additional shock absorption around the heel and forefoot soft padding on collar and tongue.